I was all dead set on taking a bunch of pictures and writing up the show, but I was easily distracted and that kind of went out the window. Also, the room was really dark, making it hard to both take pictures and see the pens. I ended up coming home with exactly what I wanted. I purchased a grey striated Parker Vacumatic Major with an awesome gold nib, a mint grey Sheaffer Snorkel, a TWSBI VAC700 in smoke grey, and a Gun Metal / Matte Black Pilot VP body, and got my Lamy 2000 Binderized. Wow. I bought all grey stuff. Oh well, it gives my predominantly matte black pen collection some variety (that’s a joke). I plan on doing a proper review of the TWSBI, and updating my review of the Pilot Vanishing Point. 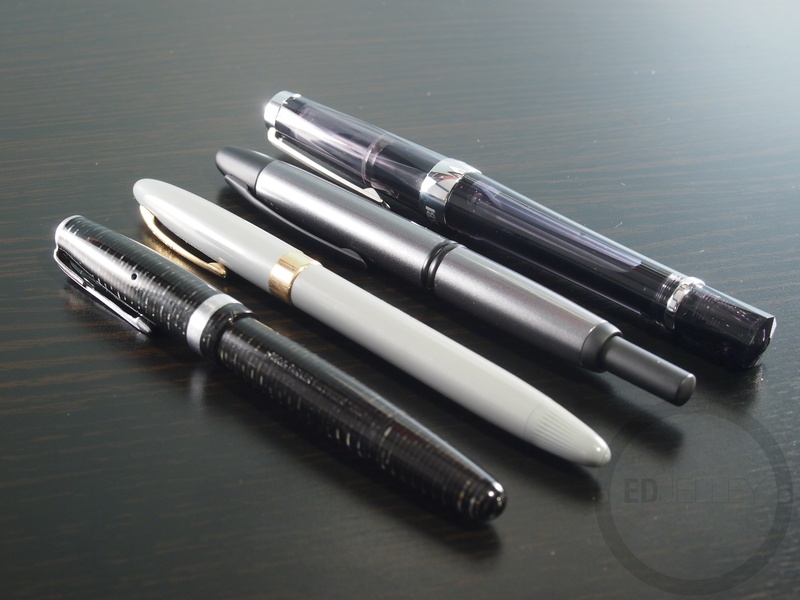 As for the vintage pens, I think a feature is more appropriate, rather than a review. This being because no two vintage pens are exactly alike anymore and a standard review wouldn’t really go for anything other than my specific pen. Anyway, look for a new review, an update and two features in the near future. Vintage stuff. Lots of nice finds! Here’s the two pictures I ended up taking of the actual show, both of the Anderson Pens table, it was a pleasure meeting them and putting faces to the name. 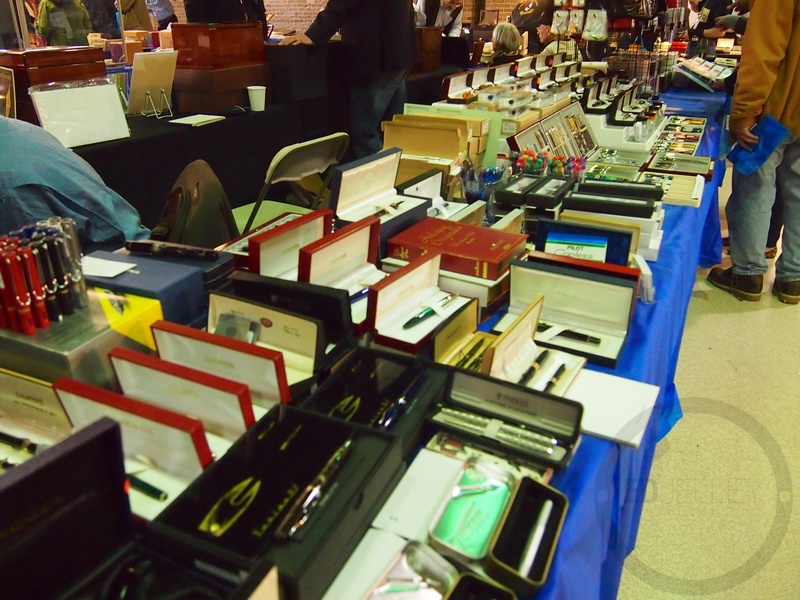 If you need anything pen related, new or vintage, I highly recommend checking them out. I purchased my VAC 700 and a Pilot Metropolitan in gold (for the girlfriend) from them. Lisa was also nice enough to give me one of her small desktop notebooks, which I will be reviewing in the near future. The new stuff that the Andersons had to offer! Nice pens. I was there on Saturday. You were more ambitious than I was, although it wasn’t because of a lack of choices and I was happy with what I brought home. Thanks! Shame, it would have been nice to meet up. 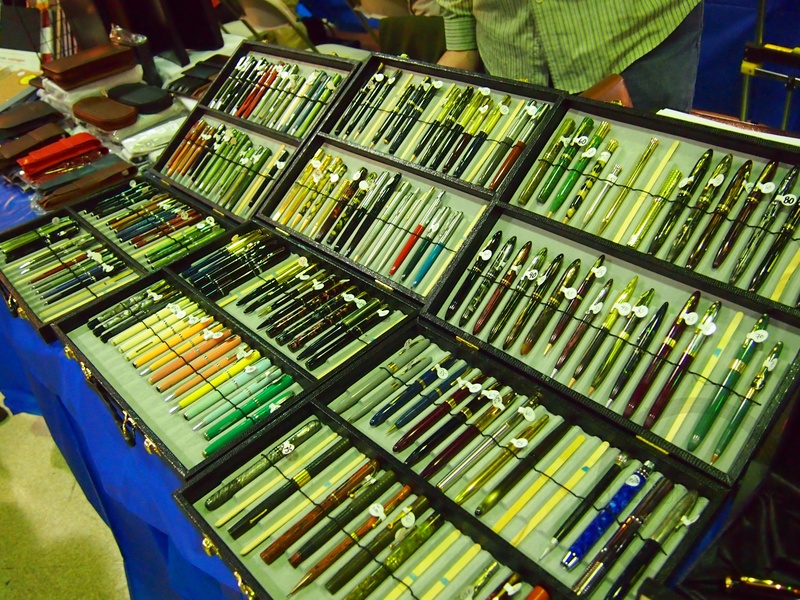 There were definitely a lot of choices, but it’s so hard to make a decision with so many pens in one room. Ooooh!!! Very, very nice! I look forward to more details on these new goodies!! I just spend a solid 2 hours shooting and editing photos, so they’ll be up soon! Wonderful acquisitions. I can vouch for the Vac700 and the Lamy 2000. Awesome pens to hold in the hand. I hope you enjoy your vintage pens too. Thank you! I’m enjoying my time getting acquainted with them! The Vac 700 is pleasantly surprising, I think I’m going to be using this one a lot. I’ve had the 2000 since December, it just never wrote how I wanted it too. The vintage pens are both great so far, I really like the nib on the Parker, it’s amazing. Awesome choices. I have been really wanting a vacumatic for a while now. I can’t wait to see some reviews! Thanks! I’m loving the Vacumatic so far, it was definitely worth getting. Reviews should be trickling out over the next few weeks!